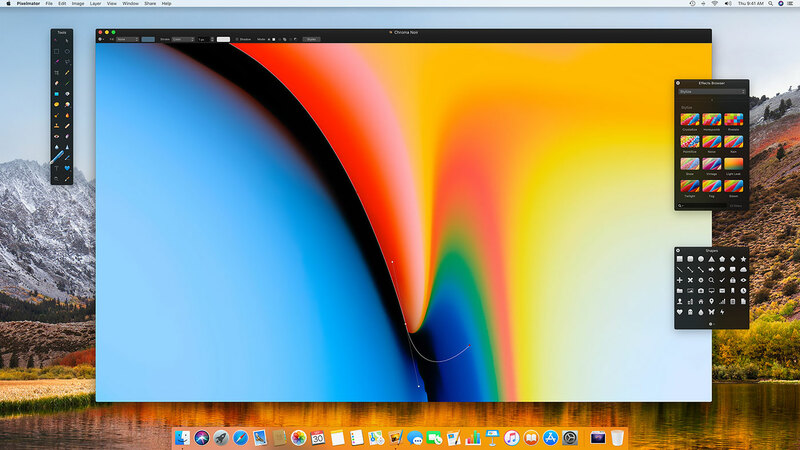 Pixelmator for Mac was recently updated on Mac App Store with full macOS High Sierra compatibility, including the ability to open images saved in Apple’s new efficient HEIF format and integrate with the stock Photos app as an external image editor. The new Pixelmator 3.7 “Mount Whitney” update brings the ability to open HEIF images taken in iOS 11 with A10 Fusion or later devices (any iPhone from iPhone 7 onward and all iPad Pro models released since 2017). 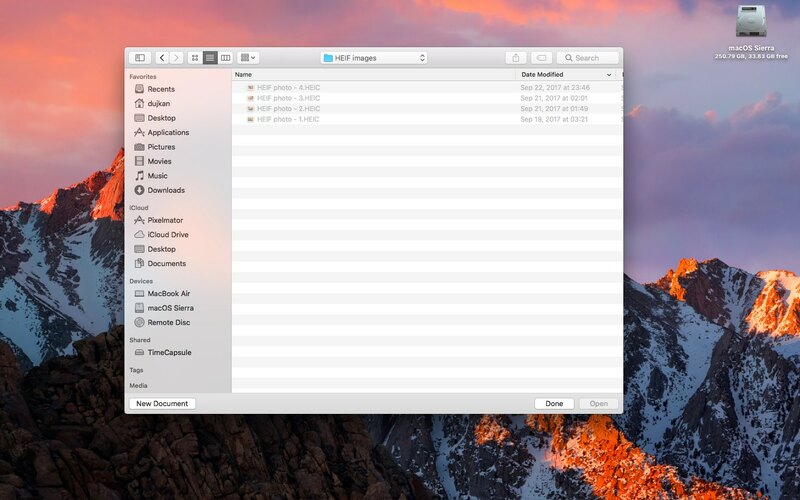 You can import HEIF images into Pixelmator by right-clicking them in Finder, then select Pixlemator from the Open With menu, or use the app’s Open dialog. 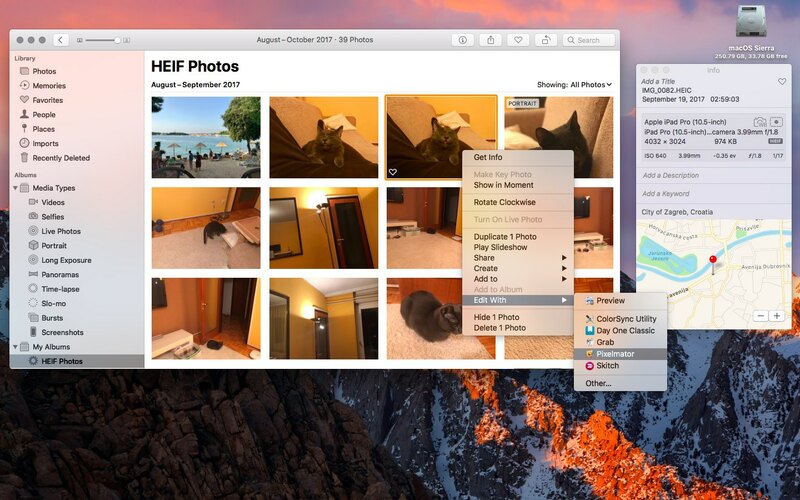 Or, just drag one or more HEIF images from Photos and drop them on the Pixelmator window. Pixelmator 3.7 also makes it possible to launch the app right from the Photos app. Just right-click an image you’d like to edit with the app, then choose Pixelmator from the Edit With menu. Any edits you make in Pixelmator will be automatically saved back to the same image in the Photos library. Photos’ integration with third-party image editors requires macOS High Sierra. 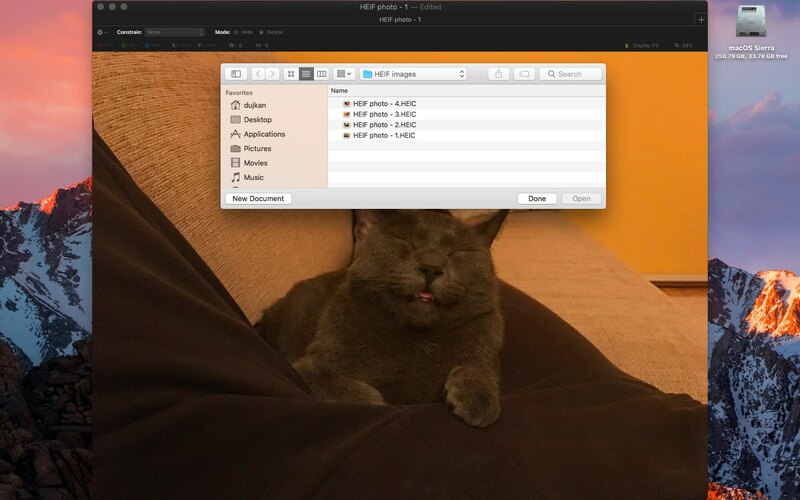 You should know that editing an HEIF image within Pixelmator will save your changes back as a JPG copy to Photos because Pixelmator only supports opening, not saving HEIF files. This isn’t actually the app’s fault. 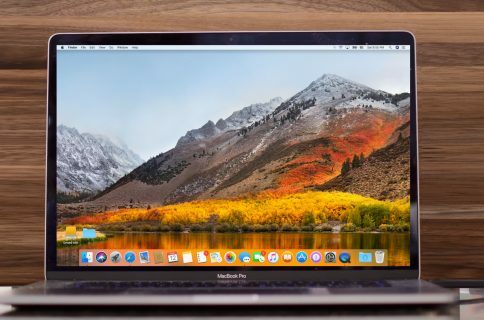 Although all Macs with macOS High Sierra can read HEIF images saved as .HEIC files (HEIF support is built into stock apps like Preview, QuickLook and Photos), no Mac models or apps currently support editing, saving or exporting HEIF images. Apple plans to update CoreImage and other APIs with HEIF encoding. As a result, editing and saving HEIFs will come to your favorite apps “for free” with a future macOS release. Improvements to the algorithm make the Repair Tool faster and more accurate. Fixed the Pixelmator extensions for the Photos app that would quit unexpectedly on certain newer Mac computers. The Quick Selection Tool’s live preview would appear in the lower left corner of the image. It’s back to where it should be. Fixed an issue with Pixelmator’s “Change Type of Images” Automator action not converting files to PSD. Fixed an issue where rulers would sometimes disappear when editing text. 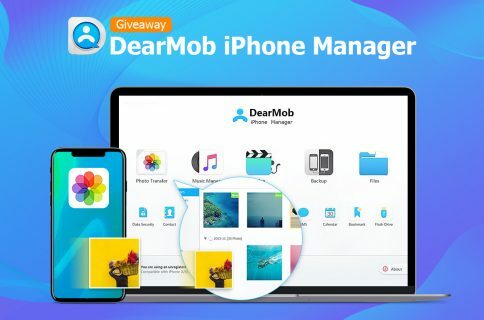 It was not possible to drag and drop images from Safari and Photos directly into Pixelmator documents. 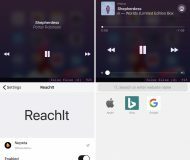 Drag and drop is now back. 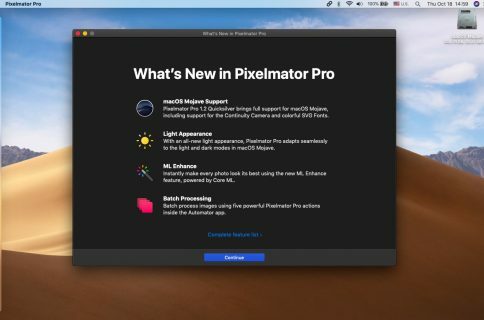 Pixelmator for macOS is available in Mac App Store.